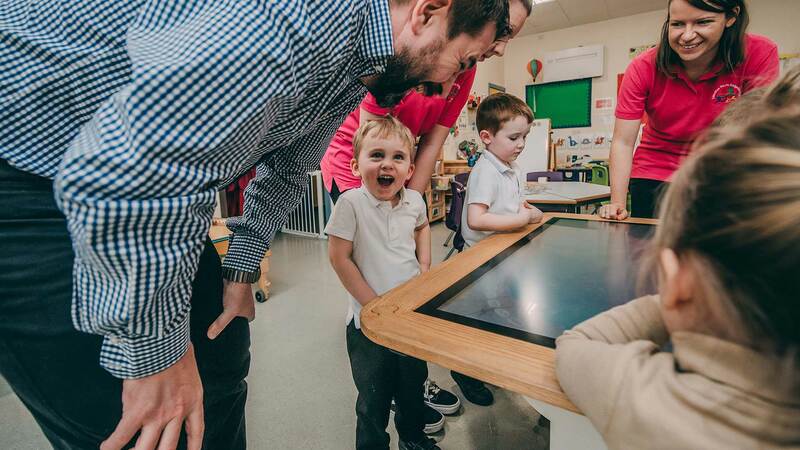 A KIND-HEARTED community has helped raise cash for a nursery so it can buy an interactive table tablet to boost children’s learning. 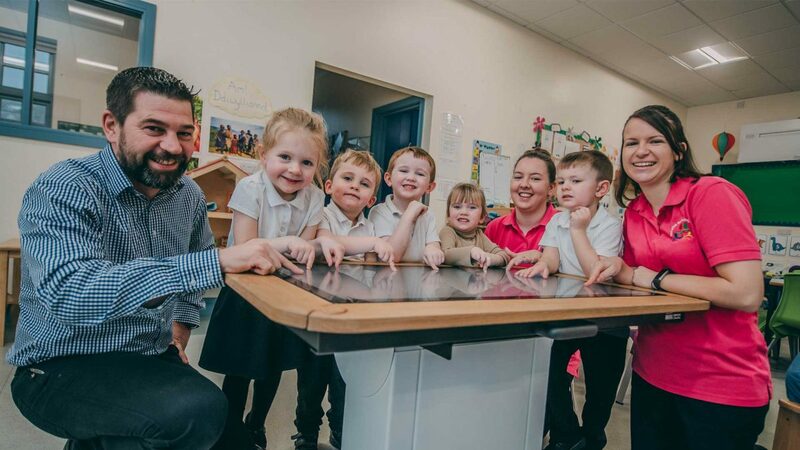 Cylch Meithrin Dolgellau, which caters for more than 70 children, has had the impressive piece of technology installed by Rawson Digital, which has one of its two offices in Y Felinheli, after the nursery received a huge grant from the Co-operative. 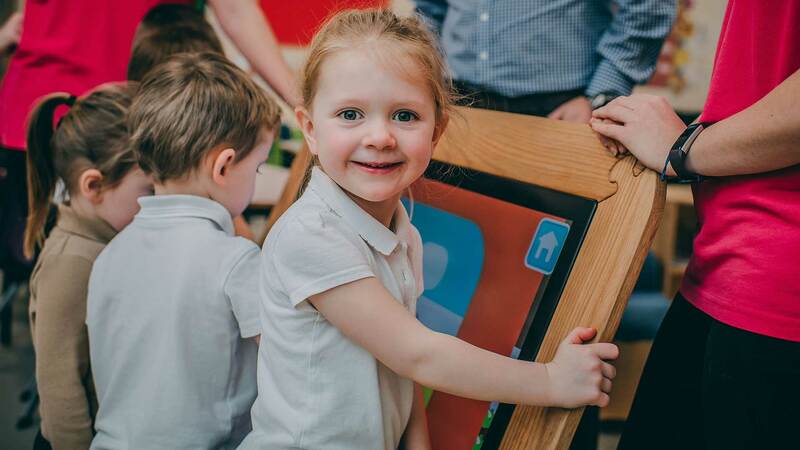 This has enabled the Smithfield Street nursery to download bilingual apps for the children to learn words and numbers in preparation for mainstream school, as well as playing educational games. 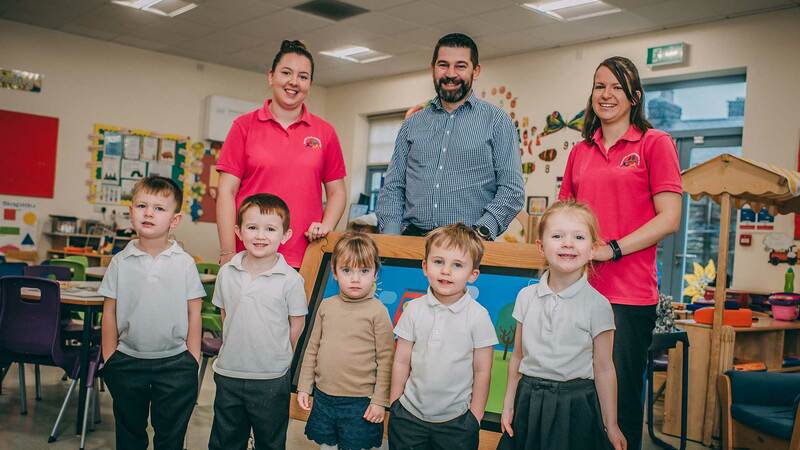 The grant was raised through the Co-operative Local Community Fund over a 12-month period, with Co-op members at the Dolgellau store choosing the nursery to benefit from a 1% donation made by the supermarket chain every time one of its own branded products was purchased. 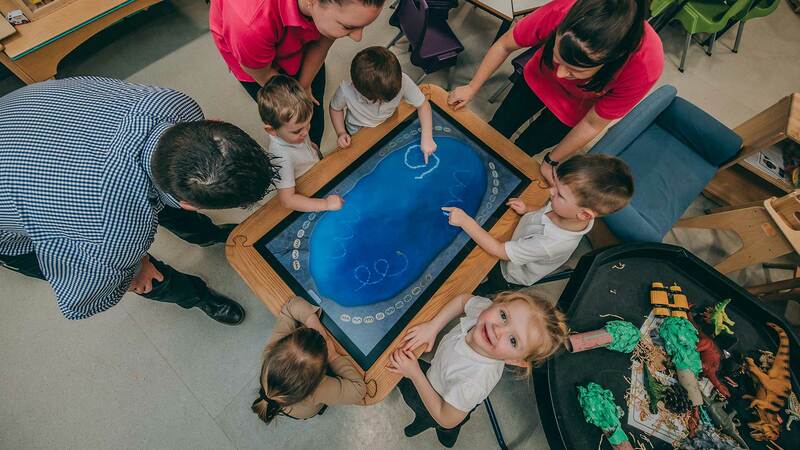 Arwel Griffiths, regional sales manager at Rawson Digital which has its head office on Wrexham Industrial Estate and a second office in Dinorwic Marina in Y Felinheli, near Bangor, helped advise and install the new table which has been a huge hit with the nursery’s children. “We’ve had brilliant support from the community to raise such a large amount and it’s a really nice reward for the children. We wanted to buy them something big. 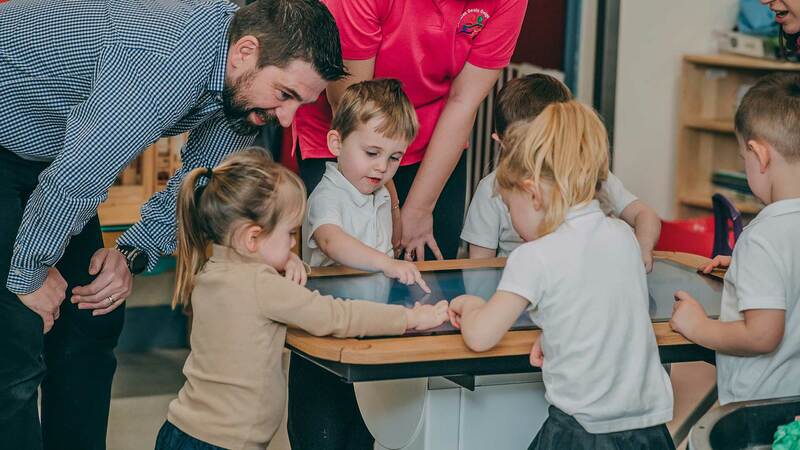 “We know Arwel and he was aware that we wanted something interactive for the children. He recommended the big iPad and when we looked into we decided to go for it and we are so glad we did. “The children absolutely love it. 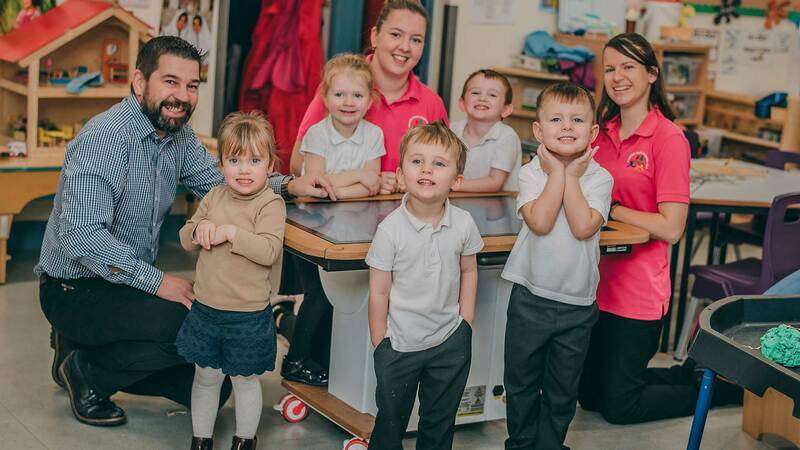 We cater for 2-4 year olds but also have a creche for children under two and an after school club for children up to the age of 11 so they can all use it too. 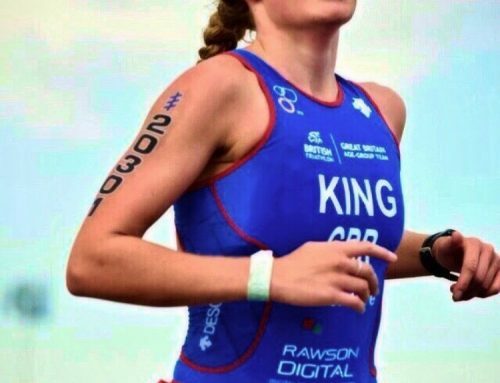 “It’s being used by children of all different ages which is great. We have lots of different apps for our pre-school children which help them with writing and numbers. 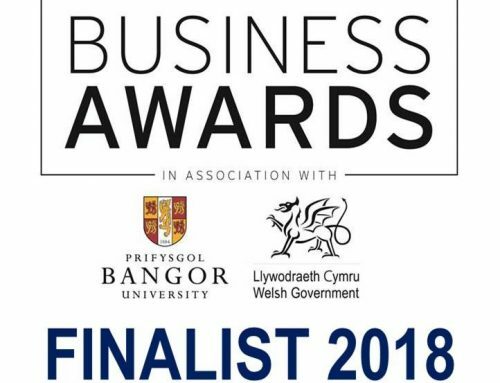 “We have of course downloaded lots of Welsh speaking and Welsh language apps so it’s been really helpful. 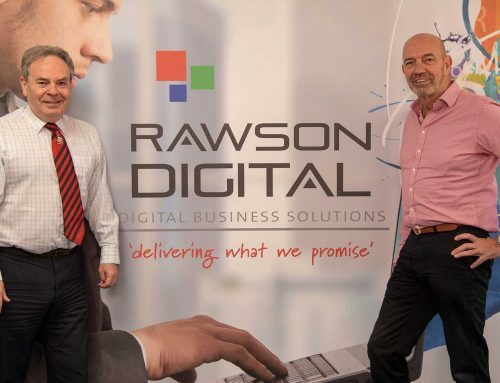 Rawson Digital supplies and maintains photocopiers, printers and other associated equipment to companies across North Wales and the north west of England. It currently has more than 1,000 machines out in use and has a thorough after care service to ensure their customers’ copy needs run as efficiently as possible. Arwel joined the Fast Growth 50 copy firm Rawson Digital last year after selling his own successful company Kon-X Wales Ltd. One of his main roles within the firm is to champion the use of the Welsh language which is why he was so delighted to help Cylch Meithrin Dolgellau whose children will now benefit from access to bilingual apps. “For the community to have helped raise such a large amount of money for the nursery is fantastic. He added: “This technology has been about for a while, it’s basically like a blown up iPad. You see them used on the likes of Monday Night Football on Sky. “They’ve been available for a few years now but the price has been prohibitive in the past. “It’s technology that develops like anything else and it’s something we’re diversifying into more and more.